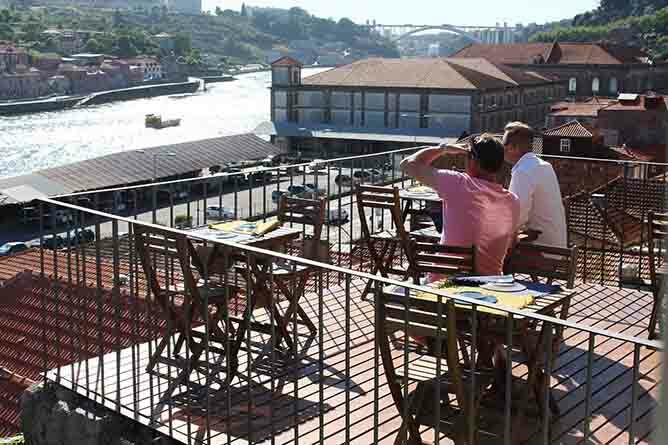 Forget the beaches, the esplanades and the terraces: what is hot in Porto are its rooftops, which are cosmopolitan oasis during hot summer days. 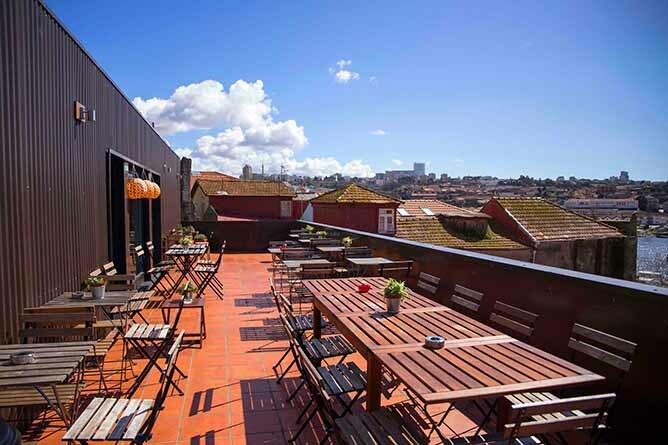 Take a look at the best rooftops of Porto! 17º is one of the best rooftops of Porto. Very well located – at downtown Porto, near Bolhão’s market, 17º is a versatile space where you can enjoy an executive menu for about €14.50, or a relaxed drink at the end of the day. Perfect. How to get there: Trindade subway station is a 6min walking distance. Portobello Rooftop is simply delicious, there is no other way to put it. 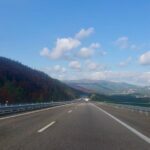 It has a tremendous location, slightly away from the city center, but close enough for a light walk. In between “petiscos”, the Portuguese word for tapas, and a good cocktails’ menu, you’ll find yourself lost in time in this city paradise. It is definitely one of the best rooftops of Porto! We highly recommend trying out their delicious lemonades. They have a cucumber lemonade and an incredible watermelon lemonade (no wonder it’s their bestseller). 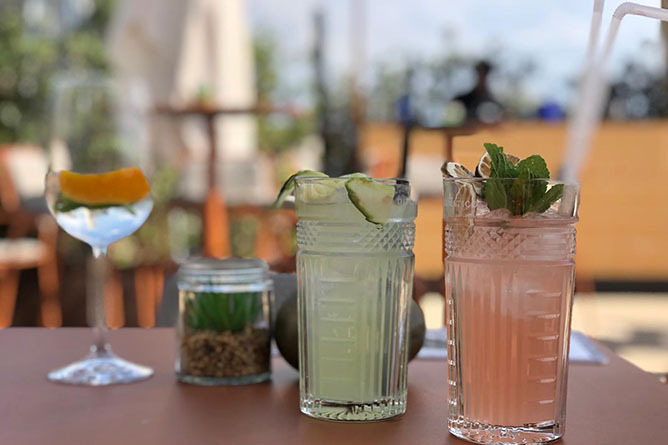 What we love about this rooftop is that the ambient is informal, the music is good to dance to and the service was 5 stars! At the same times, the speakers are not too loud, so if you want to relax and soak up the sun, you can. How to get there: take tram Line 1 until Museu C. Eléctrico. The hotel is a 2min walking distance. 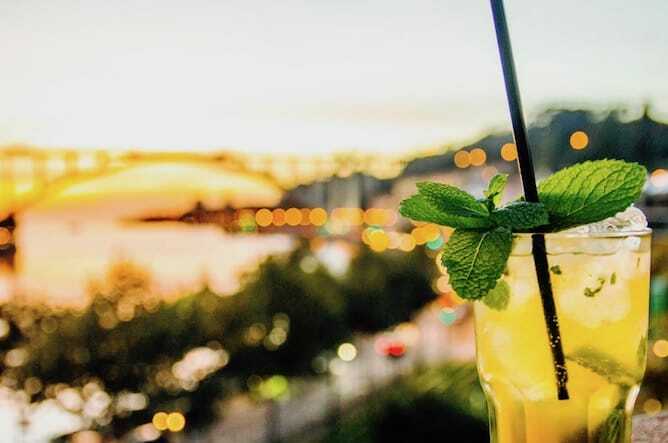 VIP Lounge, the successful rooftop of Porto Palácio Congress Hotel & Spa, deserves a relaxed visit – especially on Thursdays, from 6.30pm to 8.30pm when it organizes “sunsets” with cocktails made of a specific drink. It’s the perfect excuse to leave work on time! The Yeatman needs no introduction: this hotel, which was considered the best wine hotel in 2015, belongs to the company that owns the wonderful cellars of Taylor’s, located just across the street. 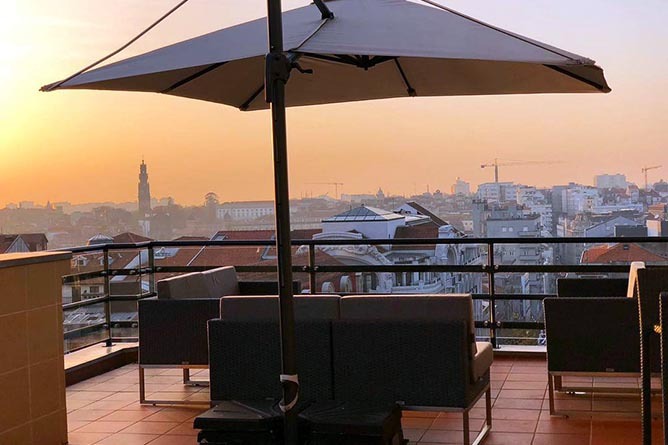 The bar and the rooftop of the Yeatman Hotel are open 24/7 even for those who are not staying at the hotel, making it one of the best rooftops of Porto for a glass of Port wine over a fabulous view of Ribeira. 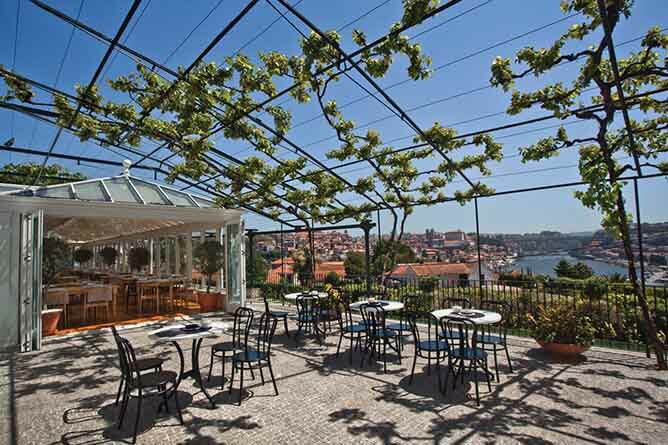 At Graham’s wine cellar, you’ll find one of the best and most stunning rooftops in Porto. They have a long wine menu going from €4 a glass (Altano DOC Douro) all the way to €999 (Blandy’s Bual Vintage 1920). 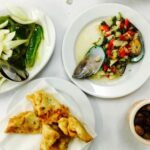 They serve some light meals and dishes to share including premium Portuguese preserves, oysters and traditional snacks. 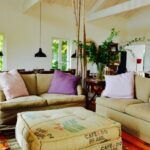 This is great for a romantic afternoon or if you’re hanging out with friends to watch the sunset over the Douro river. 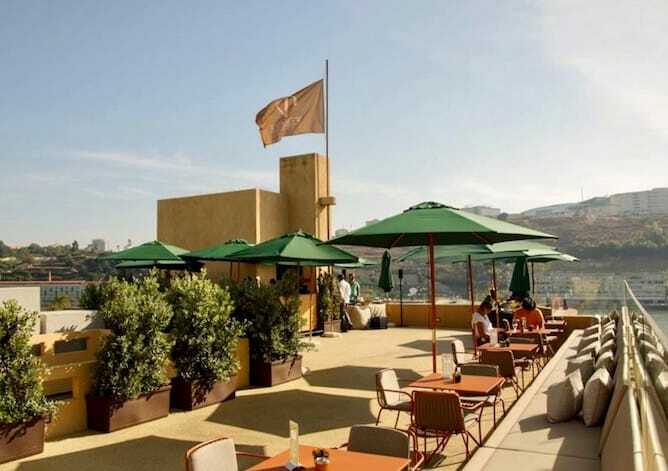 If you take our suggestion, start your evening with a glass of wine at this rooftop and then stay to have dinner at the very romantic restaurant literally next door, with exactly the same name. 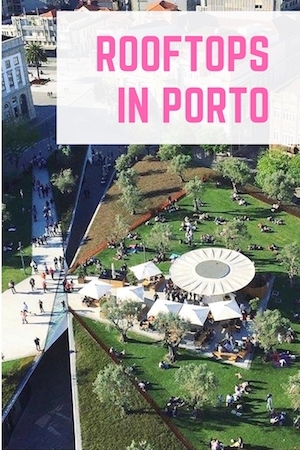 This is by far the most popular rooftop in Porto among tourists, and one can easily understand why: it is half way at Cais de Gaia, surrounded by Port wine cellars and, moreover, with a perfect view of Serra do Pilar, from where you can get the best view of Porto. 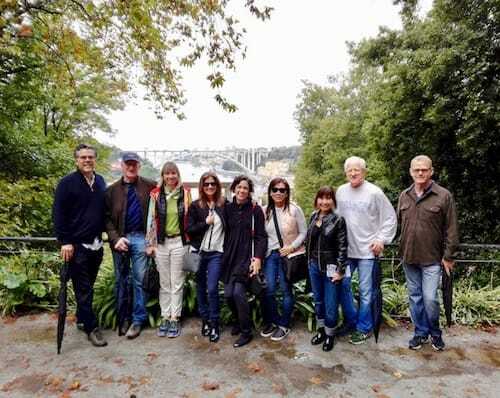 Additionally, some of the companies running the 6 bridges’ cruise give away a free wine tasting at this rooftop if you buy a ticket to the cruise, as I explained on this post. 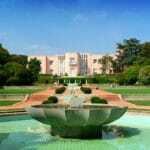 How to get there: Jardim de Morro subway station is a 12min walking distance. On the 4th floor of the Hotel Boa-Vista in Foz, you get to enjoy a unique view of the river meeting the ocean. You also get to see the integration of the old neighborhood of Foz with the new, fancier one. The bar is a perfect place to sip on some Port wine with snacks. Other than wine, they have beer, tea, coffee, soda, Redbull, juice and more (€2 – €5). For snacks, they have cheese, ham, sandwiches, hotdogs, croissants and cupcakes (€1.70 – €4.40). 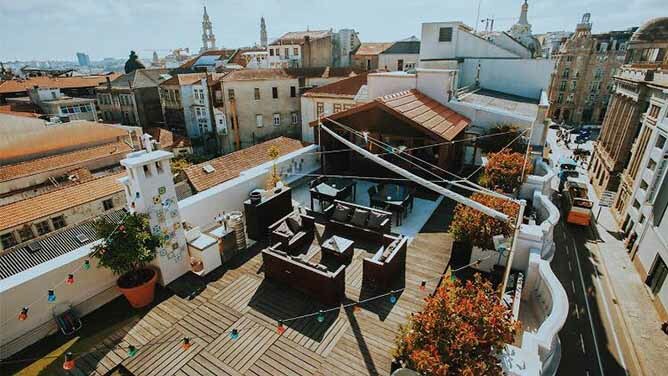 If you’re looking for one of the best rooftops in Porto to appreciate the ocean view with a drink and someone else’s company, you should pay a visit to Panorâmico. How to get there: take tram Line 1 until Passeio Alegre. The bar is a 9min walking distance. On the 5th floor of the stunning building of Pestana Goldsmith hotel, we stumbled upon one of the best rooftops in Porto. Their lovely menu, inspired by the periodic table, has classic cocktails based on gins, tequila, vodka, whiskey, Port wine, red/white/sparkling wine, beer, sangria, champagne and more. What’s also great about this bar is that they have non-alcoholic drinks such as a mojito and a ginger fizz (€6). 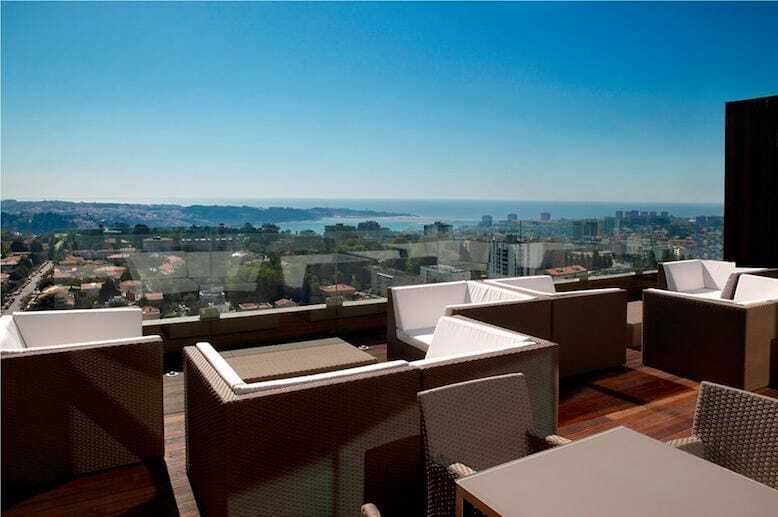 At night, the HF Ipanema Park hotel allows the public to have a drink at the OnTop bar located on the 15th floor. During a hot summer evening, you can enjoy a view over the Douro river. The bar is known for the cocktails – they have more than 18 types (€9 – €10). So we suggest you tell the bartender what you like, and he’ll make the perfect cocktail for you. They also have gin, Port Tonic, vodka, rum, wine, beer and more (€7 – €18). If you want to have a fun night with good music, good lighting and a party atmosphere, visit the OnTop Bar. 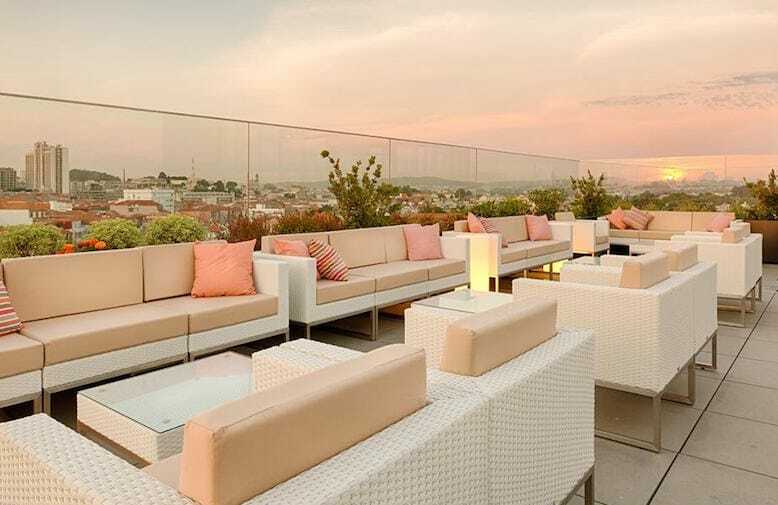 One of the best rooftops in Porto when it comes to a cool ambient is Graça Rooftop Bar. Located in the mid-town, the bar allows you to fall in love with the scenery of the breathtaking Porto, the view of the Clérigos tower and the City Hall tower while having drinks. The focus here is on the drinks. They have everything from wine, beer, rum, whiskey, sangria to fresh orange juice and smoothies (€3.5 – €7). One thing that we miss at this rooftop in Porto snacks other than fries and peanuts (€1.5). Above the Coliseu do Porto, you’ll find one of the best rooftops in Porto. The bar is part of the Porto Coliseum Hotel and it’s perfect during summer but also winter when blankets and heaters are provided. You can have a glass of Port wine, drink some cocktails or gin. There are also snacks like cheeses and smoked meats. This is a great bar to hang out in thanks to its central location. How to get there: Santa Catarina subway station is a 2min walking distance. 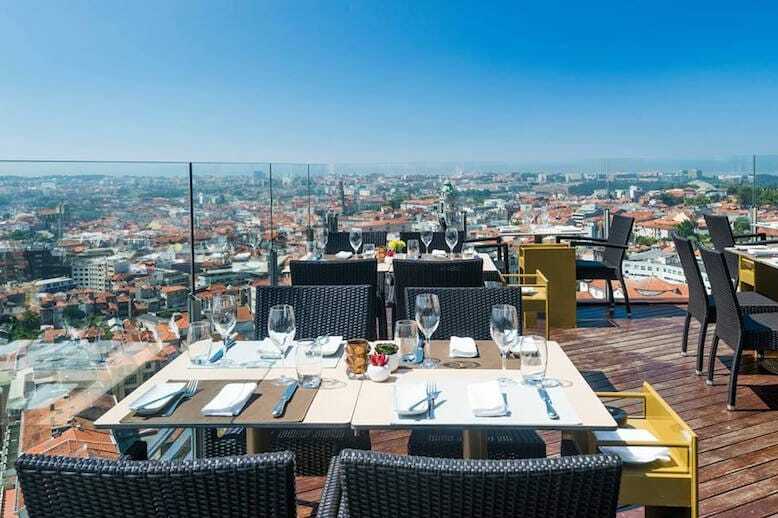 If you’re looking to have lunch at one of the best rooftops in Porto, Intrigo is a strong contender. If you’re not committed to a full meal, you can get a cheese and smoked meat platter (€11.90) or even try one of their desserts, like the pudding or the chocolate pie (€4 – €5). They have red and white wines from Douro, Lisbon and Alentejo (€3.5 – €5). But you can also get a beer, Port wine, sangria, gin, sparkling wine or whiskey (€1.5 – €15). For non-alcoholic drinks, you can order a natural ice-tea, lemonade or coffee (€1 – €1.20). How to get there: take tram Line 1 until Infante. Intrigo is a 5min walking distance. 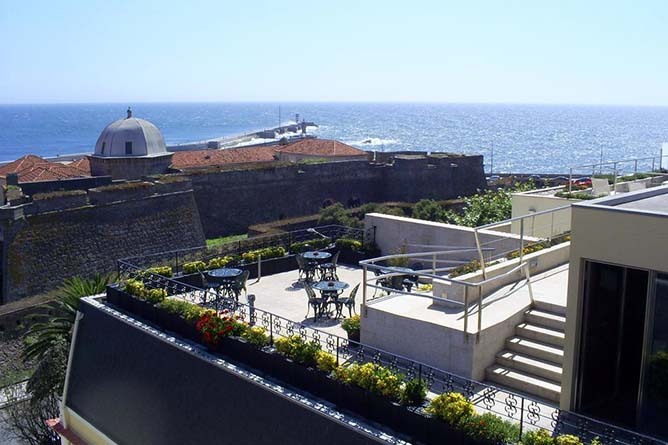 If you love jazz or live music and want to spend a lovely day at one of the best rooftops in Porto, Mirajazz is your go-to place. The drinks’ menu has a good selection of Ports but most importantly, excellent Portuguese wines (€4 – €9.50). They also have beer, cocktails, cider, and non-alcoholic drinks like lemonade, ice-tea and coffee (€6.50 – €1). To eat, you have different snack options like ham, cheese, toasts with different toppings, fries, and of course, custard tarts (€1,5 – €15). 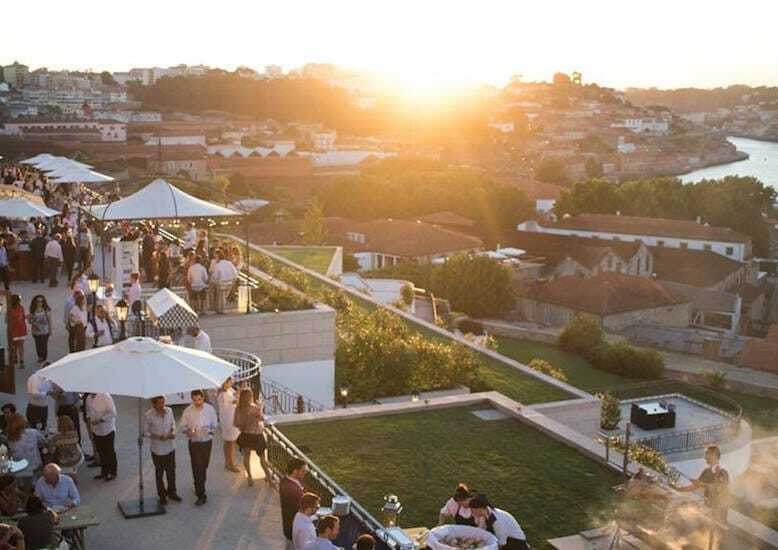 Mirajazz is a good rooftop to hang out if you’re in Porto’s center and want to get lost in an amazing view. How to get there: take the tram Line 1 until Infante. Mirajazz is a 3min walking distance. 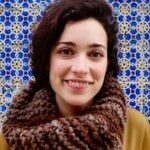 Extra: Go on a romantic tour in Porto! Why not surprise your better half with a romantic tour in Porto? 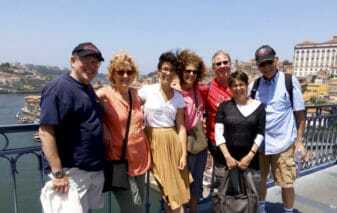 On my romantic tour in Porto you will learn all about the funny stories and little secrets about Porto. I will take you to wonderful viewpoints of the city, ideal to take some romantic photos, and for a cake tasting at a very special, exclusive location. To know more about my romantic tour in Porto, check here or simply send an email to sara@portoalities.com. It will be a pleasure to welcome you in Porto!